Imagine waking up every morning to fresh cut grass, manicured lawn&apos;s and greenways as well as spectacular views of the great Smoky Mountains. Sit and relax, sip some coffee and take it all in. You&apos;re finally home. This is a one-of-a-kind custom built home. My description here is just a thumbnail version of what this home truly is. Large master suite, trey ceilings, large walk in closet. The master bath was crafted with a walk in shower made from marble and porcelain. ALL WHEEL CHAIR ACCESSIBLE. Everywhere you look there are views of the great Smoky Mountains, views of the greens and fairways as well as views of the East Tennessee countryside. This home has approximately 4,740 sq.ft heated and cooled living area, three bedrooms, four full baths, 1/2 bath, bonus room, great room, music room, formal dining room, two dens, office, full basement with a den and secondary kitchen. There is room for three cars and more. Lots of storage for ALL your tools, toys and room for a couple of golf carts. 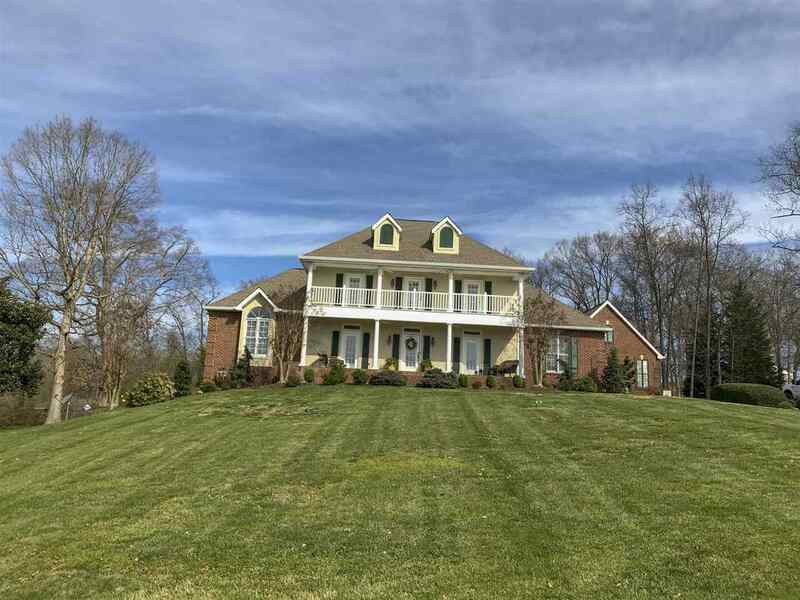 This home is situated on lots 22 and 23 of the Dandridge Golf and Country Club. It is at the end of a cul-de-sac with no homes or obstructions of the magnificent views. The windows are wood and double hung. The chef style kitchen has granite countertops along with plantation shutters throughout the home. There is a Jen Air stove in the kitchen, crown moldings, travertine floors, hardwood floors and custom cherry cabinets. There is also a handcrafted custom three piece china hutch with buffet style pull outs when eating in the formal dining room. There are three HVAC heating and cooling systems complete with a dehumidifier to insure comfort on all levels of the home. Efficient natural gas heating. Built in sauna and so much more. In the backyard you will find a custom in ground heated swimming pool. On the deck of the pool is a covered entertaining area with a half bath. Sit poolside or sit in one of the lounge chairs and watch the big screen TV play your favorite sport.